Jaipur is a small town tucked away in Rajasthan, the largest state of India, about 268 km south-west of New Delhi. It is known as the “Pink City” because of the prominent bright pink stucco architecture found throughout the town. Let’s cover some amazing things that make the Jaipur Nightlife scene the best in India. 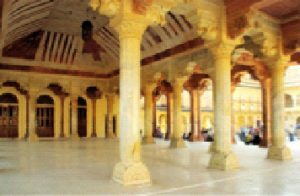 Chokhi Dhani is a small village near the south-eastern border of Jaipur, founded by Maharaja Jai Singh II in 1722 and awarded India’s Most Innovative Tourism Project by the Ministry of Tourism. This Chokhi Dhani Ethnic Resort, named after the village, has an on-site restaurant serving a traditional royal Indian cuisine in leaves and earthenware. They have a vegetarian friendly dinner menu and an all-you-can-eat buffet option. The dining area is open from 5pm to 11pm, costing ₹600 to ₹900 for adults and ₹350 to ₹650 for children. Not just that, you also get to experience village life through participating in pottery making, meeting astrologers and enjoying bullock-cart rides and boat rides. Puppet Shows Make the Jaipur Nightlife a Little More Fun! 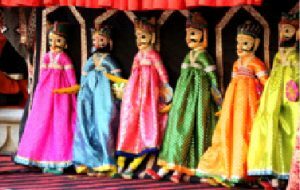 The puppet performances are presented by the well-known “kathputli walas”, featuring ancient customary dances with small and large wooden dolls dressed in bright cultural clothing. Narrations are spoken by the female handler who performs theatrical Indian folk dance moves with the puppets as a drummer beats a dholak (loud drum) in the background. The folk epic, “Amar Singh Rathore of Nagaur”, is the most popular theme that people throng to see. Many of the puppet shows are arranged at different stalls and stands in the Chokhi Dhani village and around Jaipur, but they usually happen spontaneously with no set date or time. 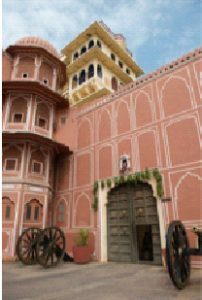 Chokhi Dhani Indore Resort, Amber Palace, Jaigarh Fort, and any one of the 45 Heritage Hotels in Jaipur also organise them frequently. Elephant rides are popular among tourists and cost only Rs.30 for about 30 minutes. You may opt for a tour at the Amber Palace, Elephant Joy or Dera Amer Elephant Safari. The ride at Amber Fort starts from the car park into the courtyard, and the Elephant Joy and Amer Elephant Safari take their rides into the foothills of the Aravali Range wilderness. Jaipur comes alive at night with the Alankar Musical Group hosting many interesting cultural events of customary folk dances such as Ghoomar and Kalbeliya, which consist of rapid body movements to the fast-rhythmic sounds of a beating drum. Visitors can enjoy fire-eating shows, puppet shows, magic shows, and live band performances. Take a look at this YouTube channel to know more. Another important part of the Rajasthani culture is a Royal Rajasthani Dinner Thali. Several small bowls full of different types of food, including starters, curries, and rice are served in a large “thali” that you can enjoy at the 1135 AD Restaurant at the Amber Fort and the Virasat Restaurant near 22 Godam Circle. In the past, this type of dinner was prepared exclusively for those with a royal bloodline. their groove on. If you want your party fix in Jaipur, below are the premier places to visit. Duplay – This nightclub has a blue neon-lit interior inside the County Inn & Suites, with comfortable seating and a fully stocked bar, where many Bollywood stars make frequent appearances. 100% Rock C Scheme – This fantastic lounge/disco serves wine cocktails mixed by the award-winning bartender for your enjoyment and a talented chef cooking up rice, lamb, and curries to perfection. Blackout – This rooftop disco-restaurant serves cocktails in a dimly lit and cosy al fresco environment, while also having sports screenings. Bollywood stars make frequent appearances here and dance to the high-energy techno music. 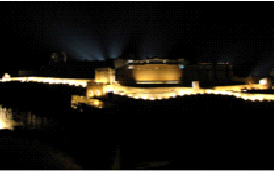 The Sound & Light Show at Amber Fort costs only Rs.100 at 8:30 pm for locals and Rs.200 at 7:30 pm for foreigners. The Light and Water Fountain show at the Jawahar Circle is a gem that has fountains dancing to folk music under multi-coloured lights, delivering an energetic element to the nightlife in Jaipur. If you want to feel the hustle-bustle of Jaipur, then visit some night markets, also known as “bazaars”. The lively energy will draw you in, as tuk-tuks carefully drive by and shopkeepers sell all types of things including clothing, food, cultural things, antiques, arts, crafts, jewellery, and carpets at midnight hours. 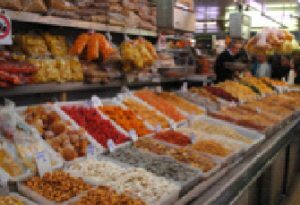 Some of the best markets in Jaipur at night are Johari Bazaar and Nehru Bazaar. A visit to this colourful cultural city and the experience of the nightlife in Jaipur Is worth every penny. LSI Keywords: places to visit in Jaipur at night, Things to do in Jaipur At Night, Night life in Jaipur, Jaipur Night Life, Jaipur Night tour, What to do in Jaipur at night.